Annoying by touch screen not working Samsung S10 plus One UI? Here’s how to fix touchscreen not working on Galaxy S10 Plus and S10. When you’re device fall in water or third party app causing problem or malware attack, you’re device frozen or unresponsive touchscreen in your galaxy S10 plus. There are several screen problems on Samsung galaxy and other android devices reported such as black screen, unresponsive screen, touch screen unresponsive, screen won’t turn on and more. Check out below given possible methods to fix touchscreen not working on Galaxy S10 Plus. 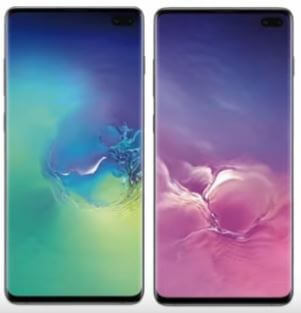 Restart your device is the first solution you can try to fix screen not responding problem on galaxy S10 Plus and S10. If not fix issue, apply below given possible methods in your device. If you have use micro SD card in your device, remove memory card from your phone. Sometimes faulted memory card is causing this Samsung galaxy S10 plus screen unresponsive or touchscreen not responding issues. Now disable all downloaded third party apps from your device. Now check Samsung S10 plus unresponsive touch screen, if you can’t found any problem, it means any third party apps causing this issue. Now reboot your device to exit safe mode on galaxy S10 Plus. Remove one by one recently downloaded third party apps and check fix S10 touchscreen not responding issue. After find app that causing problem, reinstall the other apps in your S10 Plus. Backup important data safely using Samsung cloud or smart switch before perform hard reset or master reset galaxy S10 Plus devices. When Samsung logo appears on the screen, release power key in your galaxy S10+. After few seconds, android system recovery screen view on your Samsung S10 plus. Now restart your Samsung galaxy S10 plus device and check fix S10 touchscreen issue. Hope above given one of the solutions worked for you. If you have any handy tricks to fix touchscreen not working on Galaxy S10 Plus, don’t hesitate to tell us in the below comment section.